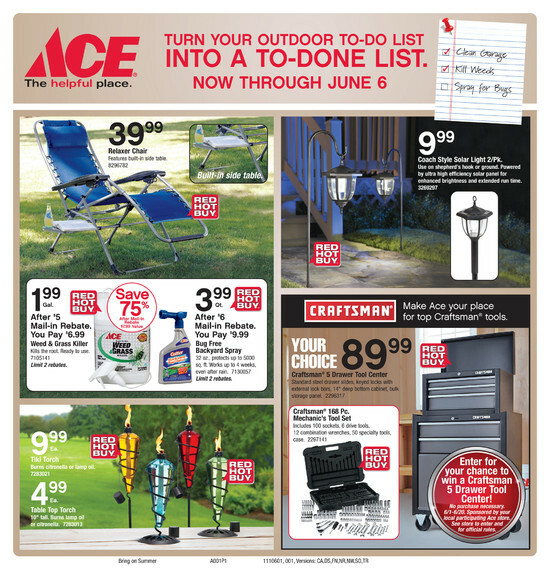 For over 33 years Cyr Lumber & Home Center has been helping homeowners and contractors with outdoor building projects. Cyr Lumber is proud to carry the very distinguished shed line from HomeTown Structures, a leading manufacturer in the shed business since 2000. HomeTown Structures provides tool and garden sheds with a design and style that will complement your home and add to the aesthetic value of your property. 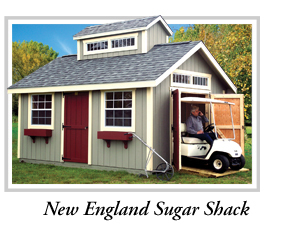 These sheds are low-maintenance and built tough, with quality materials, designed to stand up to our sometimes-harsh New England weather conditions. 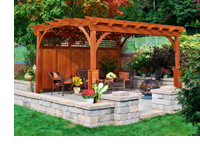 HomeTown Structures offers a large selection of designs, sizes and options to satisfy most tastes. 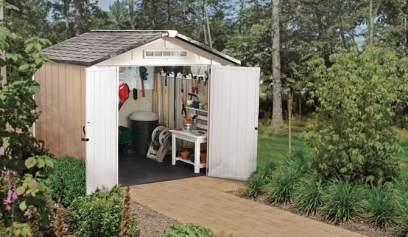 Add more windows to let the light shine in, or add an overhead door for the lawn tractor, or add some finishing touches to set off your shed from all the others. 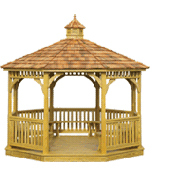 These elegant sheds have been used as pool houses, cabanas, tool sheds and equipment storage buildings Gazebos and Pergolas. 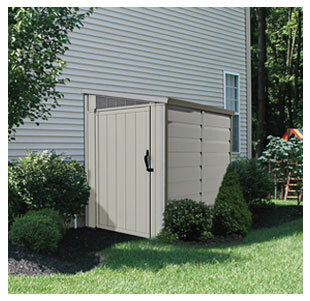 HomeTown Structures has two distinct series to fit any budget: Keystone and New England series, offering practical solutions to your storage problems. We can also custom design the shed to suit your needs. With two series and many models, you have plenty to choose from. Sheds prices include delivery and installation on your site (in most areas, see store for details). Come see them today, on display today at Cyr Lumber! You won't be disappointed. Need lots of storage? Ask about HomeTown's small garage buildings. Sheds cost, Stop in for your price today. The ultimate in value, Xpanse's affordable Premier Series sheds provide industry-leading strength, durability, and beauty—and are packed with options and features. See it on display today at Cyr Lumber!